Press Release (ePRNews.com) - POMPANO BEACH, Fla. - Jul 21, 2017 - Arguably one of the most important times of the year for kids, teens, and young adults is back to school! 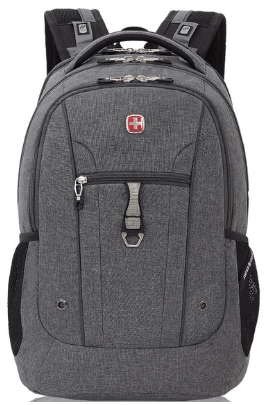 SWISSGEAR.COM is ready to help with students of all academic levels be ready, organized, and looking sharp. We have backpacks that are exclusively made for students. We have great color and design options too! From our heather color materials to camo designs we have something for everyone to enjoy. As mentioned above, SWISSGEAR, makes school backpacks that designed to help students in their day-to-day grind transiting to school and moving class-to-class. Inside our backpacks we have the most dynamic storage pockets, places for each unique item. Store your laptop in the laptop sleeve, pens, erasers, pencils, and rulers all have special compartments. There’s even room for your smaller electronics, water bottle, and shoes in special compartments. Get back into the groove-swing of things with a professional, sharp, and versatile bag with SWISSGEAR and when you spend $40.00 or more we’ll throw in a Sports Bag aka Cinch Sack or SWISSGEAR wallet! Visit SWISSGEAR.COM today while this promotion still lasts!